Dimensions: 11ft. x 13ft. 8 in. 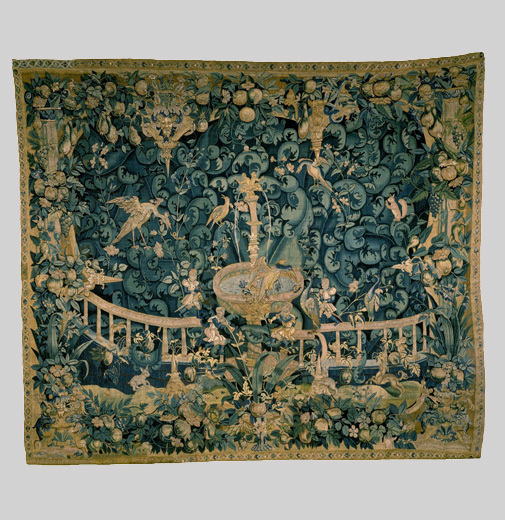 The elements of Feuilles de Choux (literally, cabbage leaves) tapestry always include large leaves in an overall, often wild motif with animals of the hunt or exotic creatures admired for their beauty and rarity. These types of animals had a symbolic significance in the Middle Ages, but by the 16th Century, designers are said to have chosen these animals as creations of their imagination. The finely drawn, sharply outlined leaves of this magnificent piece distinguish it amongst the finest of Feuilles de Choux tapestries. 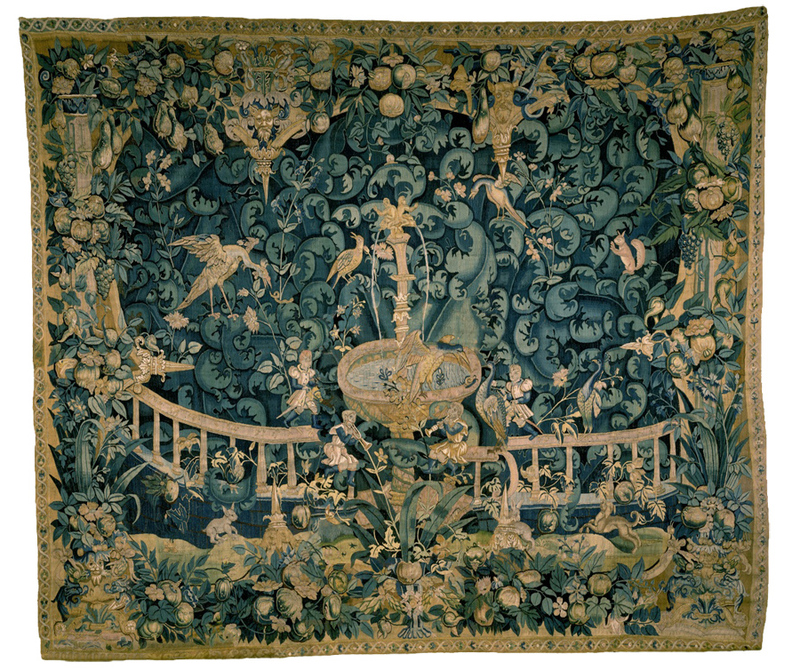 This tapestry and its pair have basic elements in common with many others, but they are nearly unique in the display a fountain, musicians, enclosure, and specific pointed architectural elements together in one dramatic scene.